Hello!! 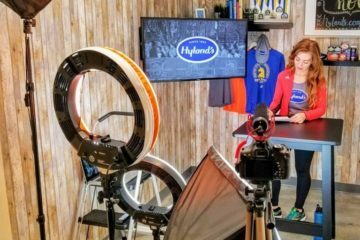 I have a big announcement for the Pile on the Miles Challenge this year!! We are switching it up to a Run Bet Game!! This way help keep you accountable and it’ll be a fun change to this challenge that we’ve done for years! You bet on yourself and commit to sticking with it. 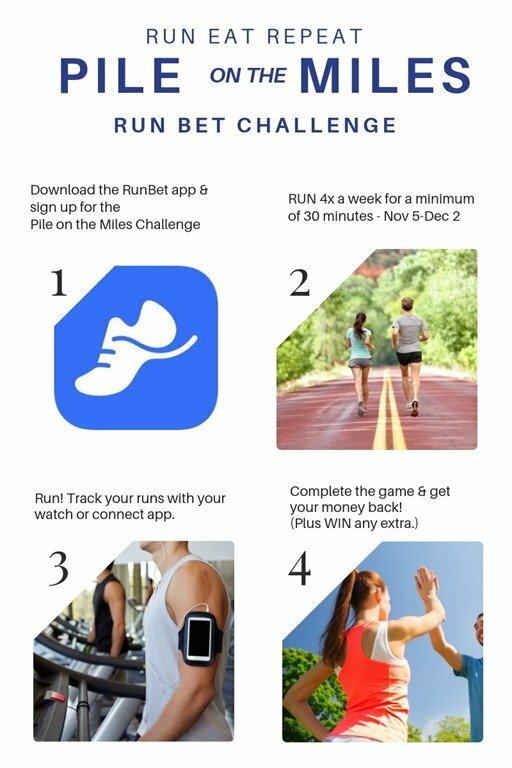 Plus – Run Bet tracks your miles so anyone who wants a little friendly competition can aim to run the most miles of the challenge!! It’s starts Nov 5th – so we’ll start on a Monday and run the heck outta November!! 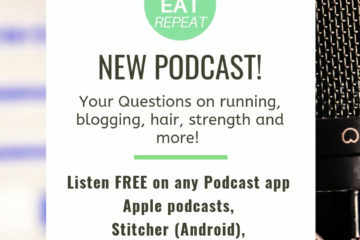 For those that aren’t familiar – Run Bet is similar to Diet Bet (an app that’s popular for weight loss contests). 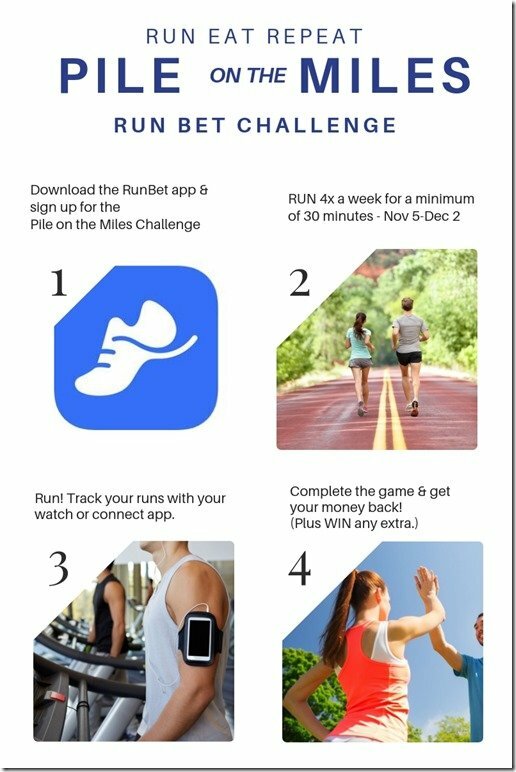 This app hosts running challenges – it’s about piling on miles in November. So while you have to pay $40 to join… it’s really FREE because YOU are going to stick with it! And I’m going to help you! We’ll have a private Facebook Group to help keep you on track & answer any questions. Plus I’ll do Q&A sessions in the group 2x a week so you’ll have access to me for any running or fuel questions. I’m here to help you, coach you, motivate you and more! 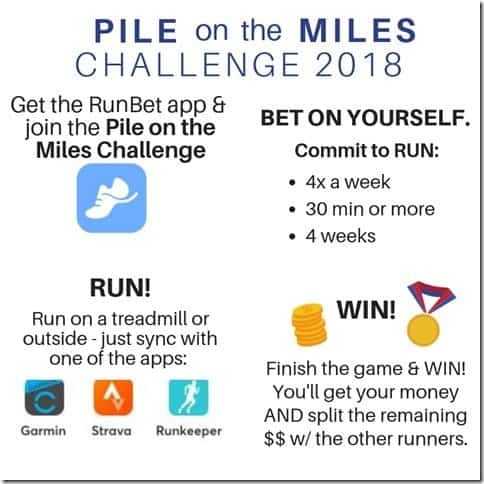 Pile on the Miles Challenge 2018 will be a Run Bet Game this year!! Run Bet is a game where you bet that you’ll stick to running 4 days a week for at least 30 minutes. You bet $40 to play. Stick to the challenge and you WIN! Bet $40 that you will stick with it! AND – the app will tally up your mileage so if you want a lil friendly competition you can try to go for the most miles!! 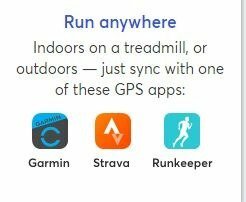 All you need (for tracking runs outside) is a phone with GPS and one of the following free running apps which are available for iOS and Android: Runkeeper or Strava (in the future we’ll support other running apps). Once you have Runkeeper or Strava connected to RunBet, we “see” your runs and can automatically credit you. You just need to make sure the app is properly tracking your runs. RunBet supports Garmin GPS devices, so if you have one you will just need to make sure your runs are being saved in the Garmin Connect app. You can sync the Garmin Connect app with RunBet the same way you would sync Runkeeper or Strava. You can use other wearable devices as well so long as they can connect to your Runkeeper or Strava accounts (which you can get for free). Refer to Runkeeper for supported wearables here, and refer to Strava for supported wearables here. Note that we can only credit runs that are officially reported through Runkeeper, Strava, or Garmin Connect. This is why it is important to make sure your wearable device is supported and that all your runs appear in one of the supported apps. Take this short POTM 2018 SURVEY so it’s easier for me to invite you to the closed Facebook Group AND know how to help support and motivate you to stay on track! 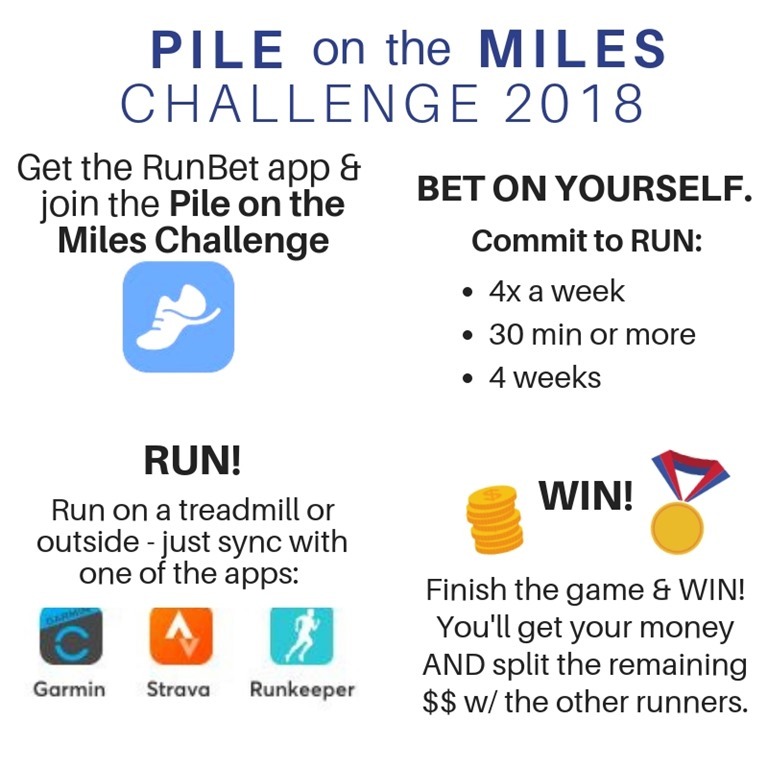 I got excited and signed up for the Pile on the Miles Challenge! I signed up to RunBet through e-mail (via desktop) but I can’t access the app’s features. I am in an infinite loop of “please wait” after I login through the app. I was troubleshooting and I did notice that if I sign up with the app via Facebook and login I am not prompted with “please wait.” I’ve only been able to reproduce this with 2 android devices. I’ve emailed a support ticket so that this gets resolved swiftly. I was wondering if any other people are experiencing this as well? Hi Lyra – I’m sorry for the trouble. Have you been able to get it fixed? Let me know so I can see if there’s anything I can do.